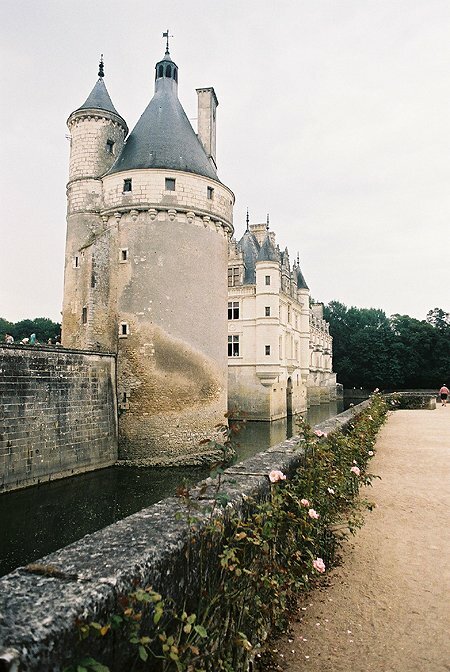 Chenonceau is probably the most famous chateau in the Loire valley. 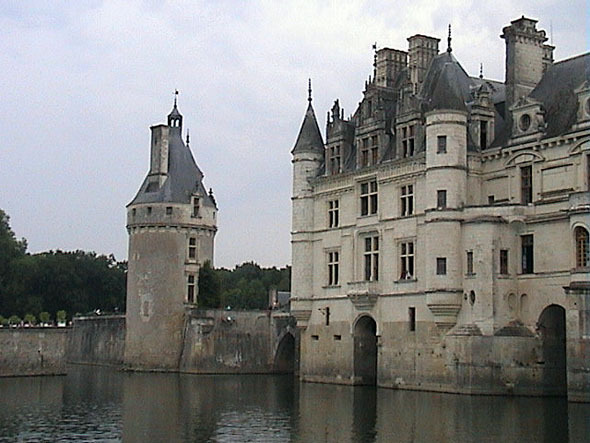 Built over the river Cher, the chateau is surrounded by water. The original chateau on this site was demolished by Thomas Bohier in the 16th century. The current forecourt reproduces the layout of the previous medieval chateau surrounded by moats. One of the original towers was kept as a free-standing tower. The main external feature is the bridge over the river. This contains a long gallery and was built by Catherine de Medici in 1576, largely completing the exterior we see today. The chateau was used as a hospital during the first World War and during the second was a conduit for people escaping the occupied zone of France. One end of the gallery was in the occupied zone while the other end was in the Free Zone. Externally the building is very elaborate with many decorative windows, chimneys and turrets. The chateau is surrounded by formal gardens. As expected, the interior is very ornate and contains many beautiful rooms. 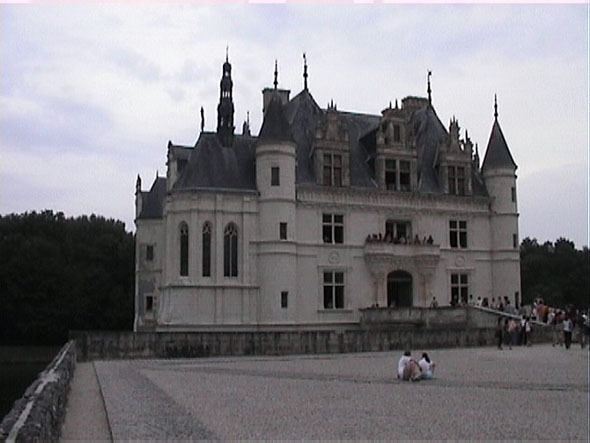 The interior of Chenonceau contains many fine rooms, all thronged with tourists. 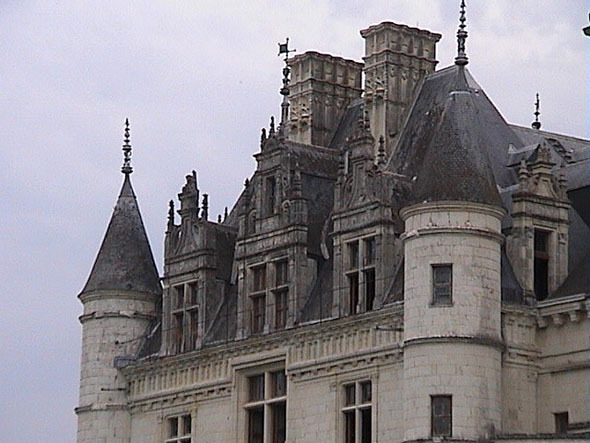 The fine chimney (illustrated above) is from the bedroom of Diane de Poitiers, who was the mistress of King Henry II. 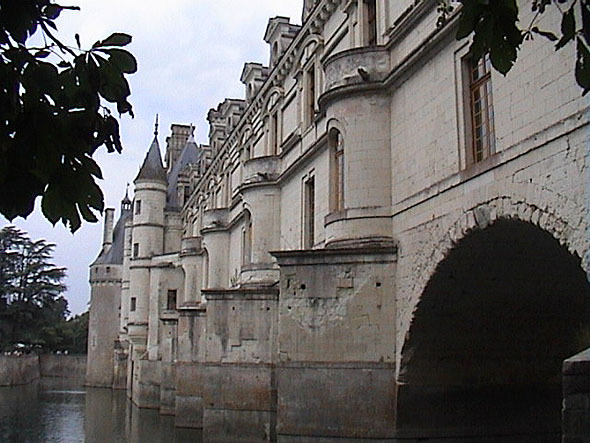 Henry II donated Chenonceau to Diane as a gift. However on his death, his widow Catherine de Medici forced Diane to hand the house over to her. The chimney is by french sculptor Jean Goujon. He cleverly intwined the H (Henry) and C (Catherine) to form a D (Diane) in the design. 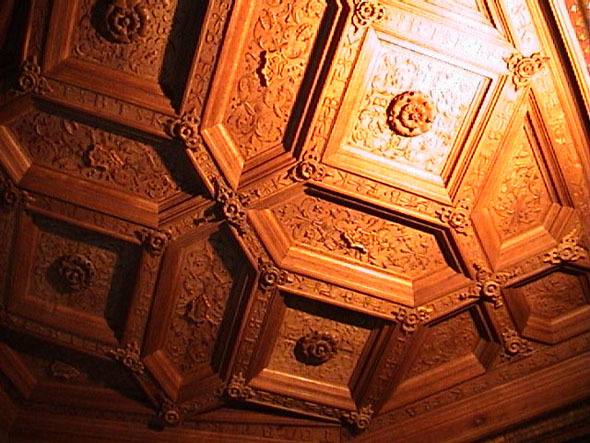 The illustrated ceiling design is from the small library of Catherine de Medici. It dates from 1525 and is made from oak. The chimney pieces illustrated are both from the gallery. The gallery spans the river Cher and is 60 metres long and 6 metres wide. Only one of the chimneys is part of a fireplace. 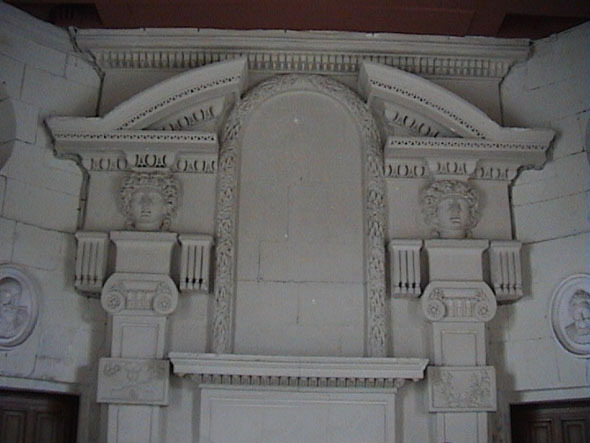 One is a decorative surround for the doorway leading to the left bank of the river. 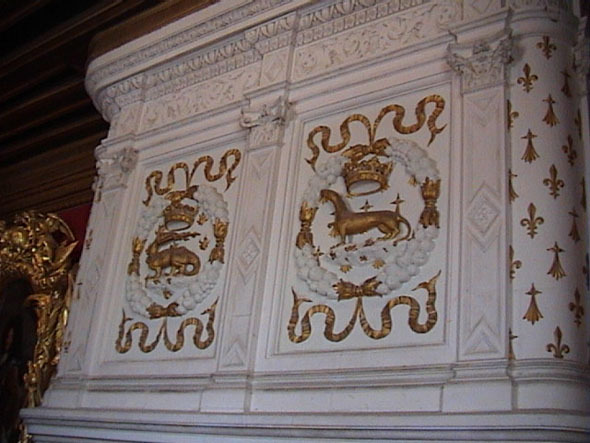 This chimney piece is from the Louis XIV Living Room. 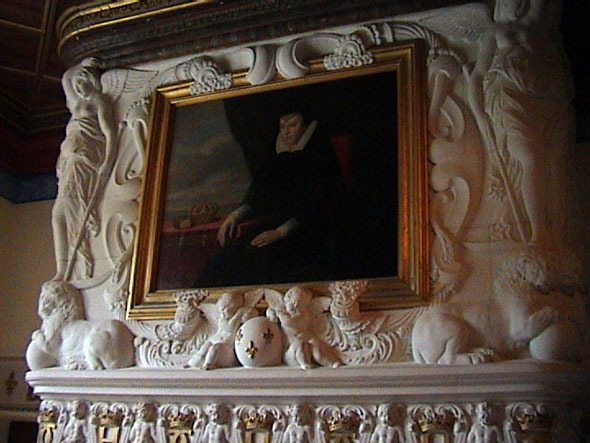 It features the Salamander and Stoat commemorating King Francois I and Queen Claude of France.